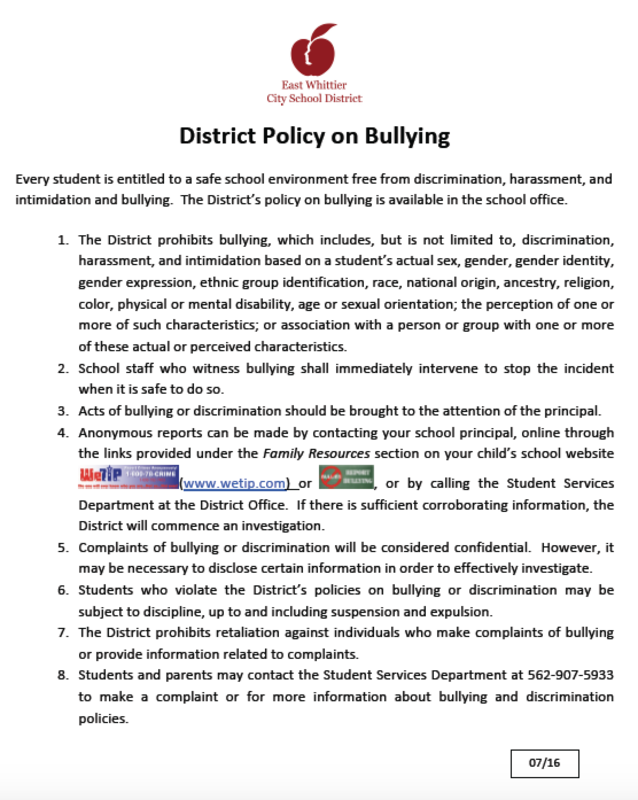 East Whittier City School District recognizes the harmful effects of bullying on student learning and school attendance and desires to provide safe school environments that protect students from physical and emotional harm. 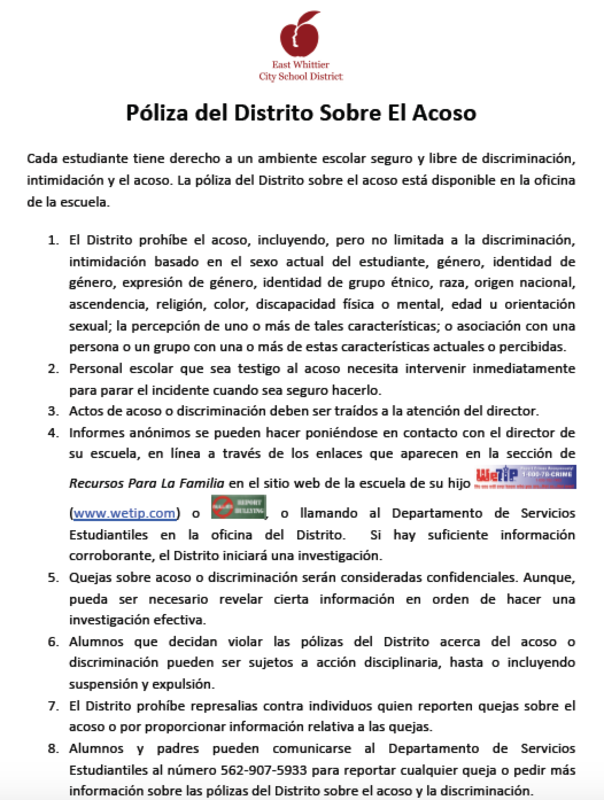 District employees shall establish student safety as a high priority and shall not tolerate bullying of any student. Placing a reasonable pupil or pupils in fear of harm to that pupil’s or those pupils’ person or property.